Yellow and White Gold Hoops gently wrapped together and fixed with a hinged fastening. 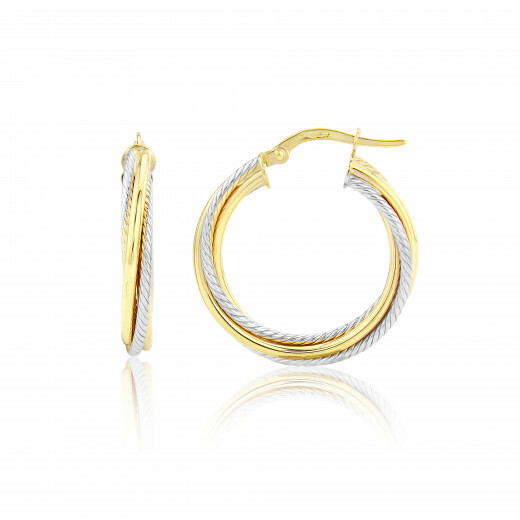 The White Gold hoop has a continuous twist design and the Yellow Gold has a high polished finish. Classic Gold hoop Earrings - with a twist!